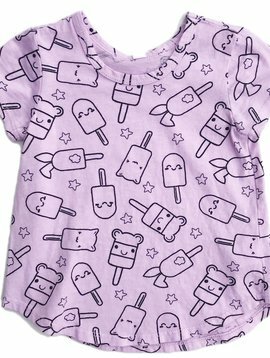 Pink Peony Kids are designed by Californian bred sisters who grew up in the garment district of Downtown Los Angeles. They spent endless hours climbing towering rolls of fabric and skipping between racks of clothing in our parents apparel shop. When manufacturing moved overseas their family decided to remain in LA and now they launched their very own line of children’s clothing, Pink Peony Kids. Pink Peony Kids is thoughtfully and locally made with the softest of cottons, printed and garment dyed and washed to strict children’s safety standards. Pink Peony Kids is inspired by the California spirit and style we grew up with- everyday basics and relaxed designs with playful prints that are dipped in happy, colorful shades; each piece effortless for mommy and her little one.